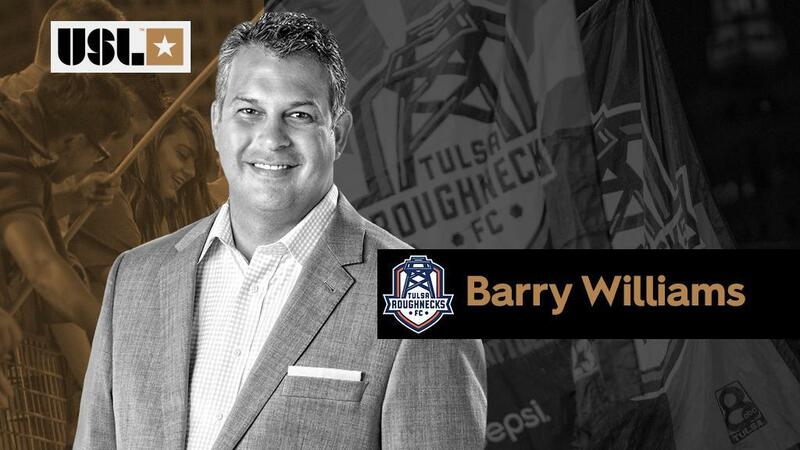 TULSA, Okla. – Tulsa Roughnecks FC announced today the addition of influential local businessman Barry Williams to the club’s ownership group, and the appointment of Williams as the club’s President, a move that heralds an exciting new era for the USL Championship club. Mike Melega introduced Williams, who serves as the Chief Executive Officer of Tulsa-based business The Evolutions Group. Williams will oversee a new soccer-exclusive staff at the club which will include personnel dedicated to marketing, community relations and ticket and sponsorship sales for the Roughnecks. Wayne Farmer, a Welsh-native Oral Roberts University graduate, has been named the new General Manager for the team. Farmer served as the general manager for Fortuna Tulsa during the team’s inaugural Women’s Premier Soccer League 2018 season. Announcements regarding appointments of a new Head Coach and signings for the club will be made in the coming weeks. “These changes and additions will provide a strong base for the future of professional soccer in our city. We are excited about what the Roughnecks can accomplish as we enter 2019,” added Melega. In the spirit of the change, the Roughnecks have announced a completely different seating design for the upcoming, 2019 season with lower pre-season ticket pricing. To see the seating plan in full, fans can visit www.roughnecksfc.com/tickets. Season tickets for 2019 can be purchased by calling 918-297-6808. In addition, current season ticket and suite holders will be contacted shortly to learn more about the exciting vision for soccer in Tulsa for 2019 and beyond.